As I mentioned last week when I did my Rainbow Crochet Roundup, we are visiting my family up in Canada. Whenever we visit with my mom, she always has craft ideas to do with the girls. Now ever since Taylor was born, my mom has been 'jonesing' to use the girls footprints to make butterfly pictures that she could hang in their bedroom at her house. So of course that was THE project we had to make sure got finished. Luckily this particular craft is really easy and super quick, so we managed to fit it in amongst daily visits with friends and family, trips to the playground and splashing in what seems like every different splash pad around the city. 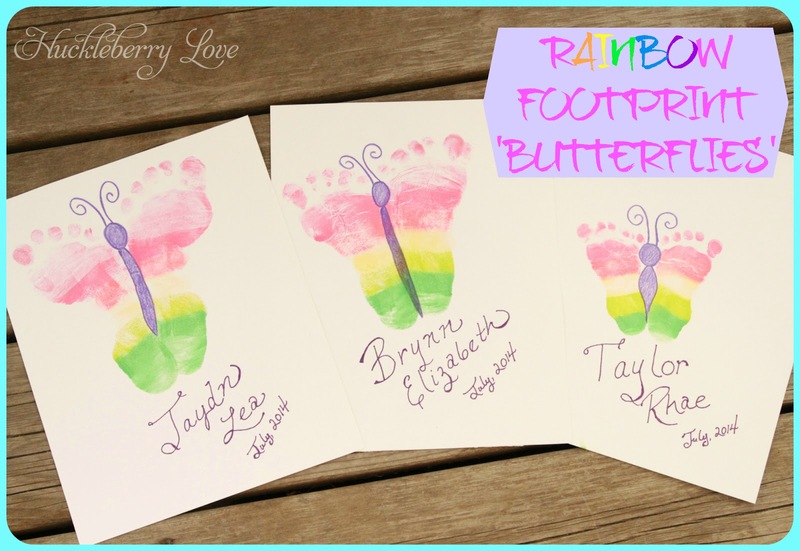 With clean tootsies, press your rainbow stamp pad on your childs foot. 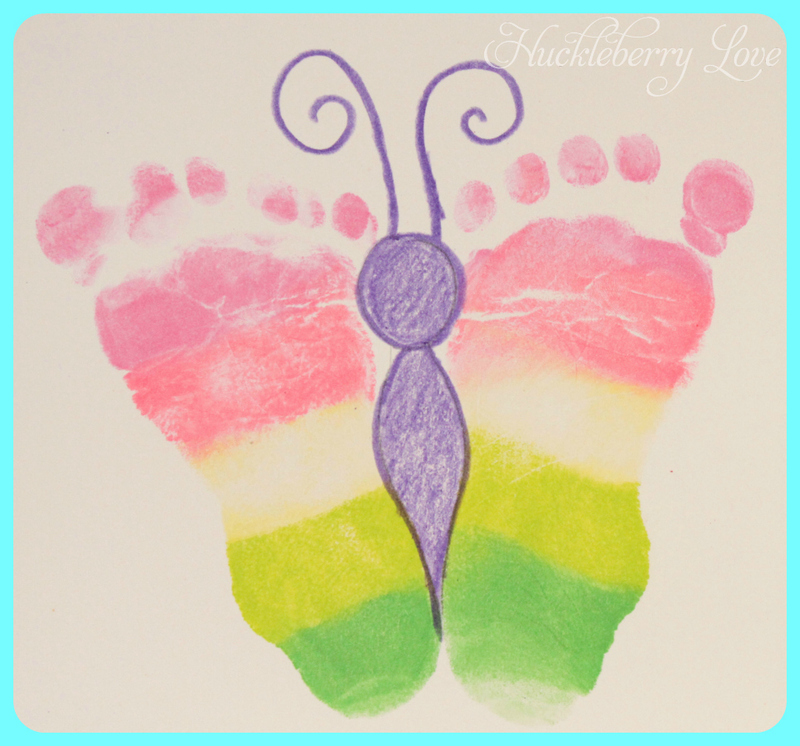 Most rainbow stamp pads that you find are too small for feet bigger than an infants, so I just used the top colour of the stamp pad and did the toes and the top part of the foot. Then I pressed the stamp pad over the middle of their foot (to create the rainbow effect) and then used the bottom colour of the stamp pad and did the whole heel. 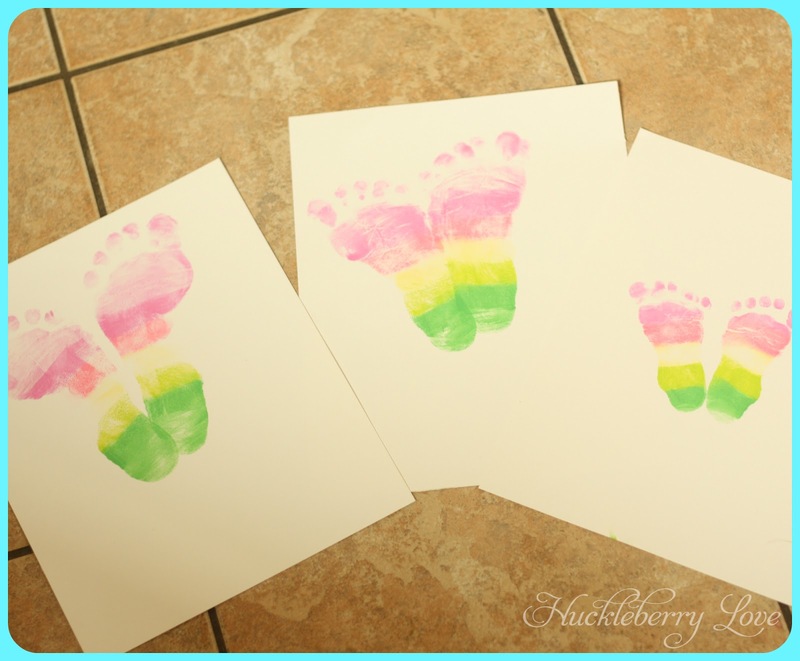 Then, press those pretty rainbow feet onto your cardstock. Use the right foot to make the left butterfly wing, and the left foot to make the right butterfly wing. Using a marker or pencil crayon, draw the butterflies body between your footprints. Don't forget to add the antennae!! Your beautiful Butterfly Footprints are done. I know, so easy! As an optional last step, you can use your markers to write your child's name, or better yet, let them write their own (only if they can of course). 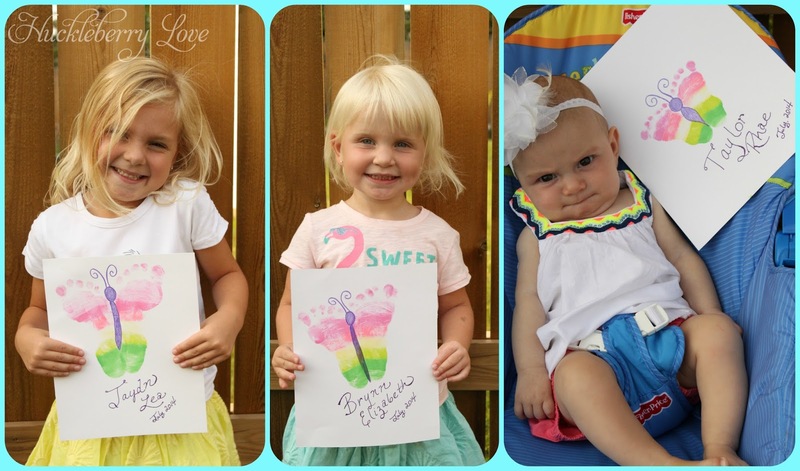 In our case, my mom has beautiful writing, so she wrote each girls name. 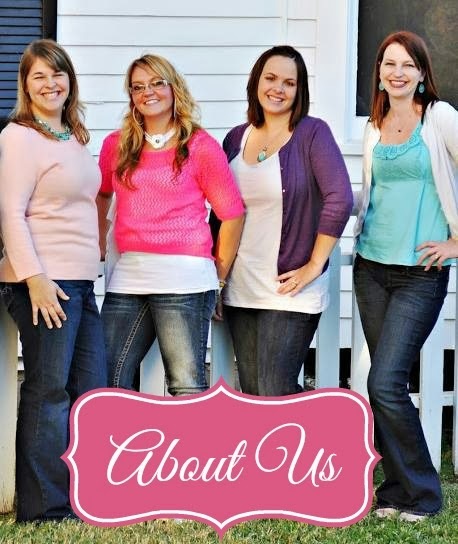 This was a really fun and simple project that my girls really enjoyed doing. They giggled the entire time I was stamping their tootsies and they were really excited about the final result. This project is great as a way to decorate a bedroom or as a gift for grandparents. 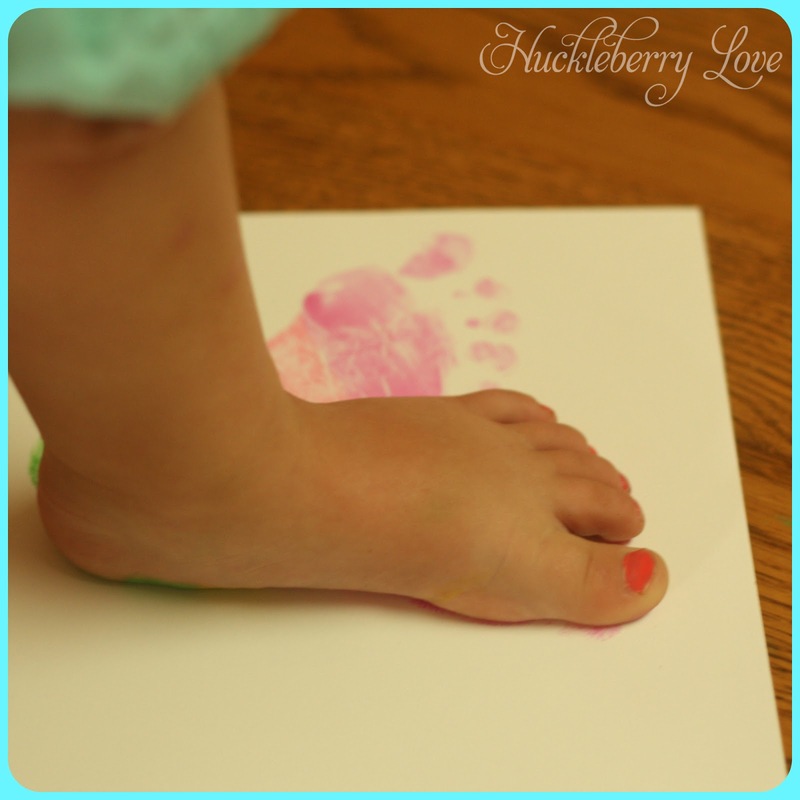 Have you ever used footprints to create works of art for your kiddos bedrooms? What kinds of designs have you made? Aww! These are so super cute! So cute! thanks for linking up to #theWeekendSocial. Love to see you back Thursday 9:00 PM EST. I've pinned your link! Those cards are adorable!! Too bad my babies are all grown up now. Thanks for linking up at #MerryMonday!